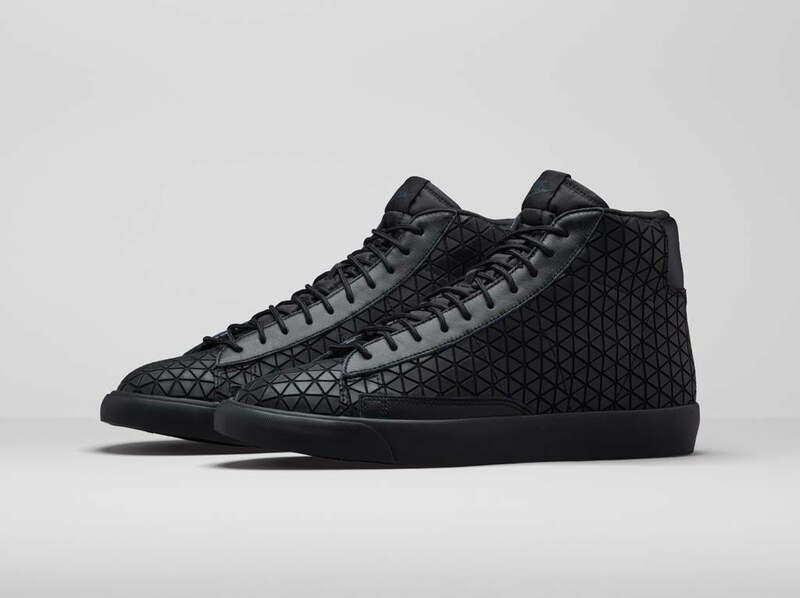 For this weeks Quickstrike offering Nike bring you the Blazer Mid “Metric”. A tonal black Blazer accented with a triangular tiled textile upper. Details appear in the form of a tonal black rubber vulc sole unit and leather panels on the vamp and heel.